A great way to support FOBA’s work! 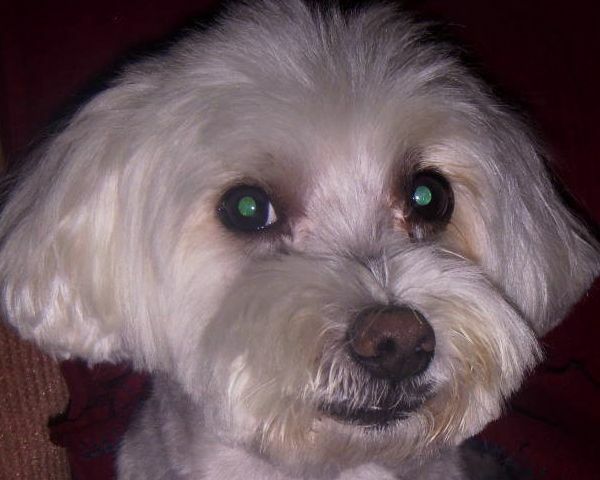 Dine at Not Your Average Joe’s (45 Enon St., Beverly) on Monday May 7, from noon to 9 PM. 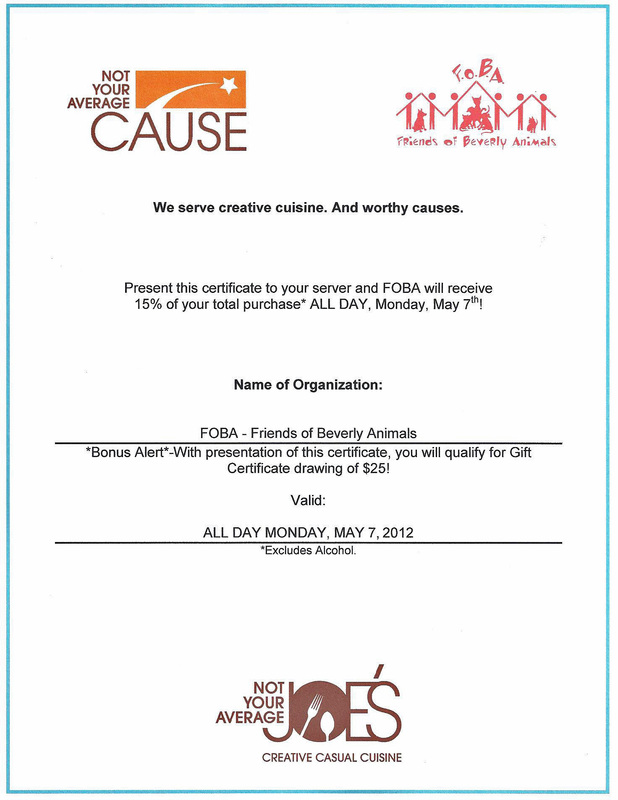 FOBA will receive 15% of our supporters’ dining receipts (less alcohol). You need to print out and bring this Not Your Average Cause certificate. Put your name on the certificate and give it to your server. Not only will you be helping FOBA, but you’ll also be entered into the NYAJ’s drawing, in which two $25 gift cards will be given away. Help a great cause, enjoy excellent food, and possibly win a gift card. A total win/win! Please tell your friends and family about this event. We are grateful to NYAJ’s for this partnering opportunity, and as always, the animals and FOBA sincerely appreciate your wonderful support! !